FOSA has urged the House Committee on Transportation and Infrastructure and the Senate Commerce Committee to incorporate advanced technologies to help make the nation’s infrastructure safer, more resilient, and longer lasting. 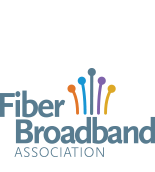 FOSA, the nation’s premier trade association dedicated to fiber optic sensing, announced the election of five board members, as well as its officer slate for 2019, at the organization’s Annual Meeting in Washington DC. Senator Jon Tester (D-MT) and Representative Will Hurd (R-TX) recognized as recipients of FOSA’s Champion of Innovation Award for 2018. The selection was based on their extraordinary leadership in the 115th Congress to make U.S. security programs more effective through advanced technology. The Fiber Optic Sensing Association (FOSA) today called for the federal government and the pipeline industry to work together to establish a pipeline safety test facility in the United States.